It is the day that PRs across the country enjoy and fear in equal measure. And which this year has rather inconveniently fallen on Easter Sunday. Just to add to the challenge. 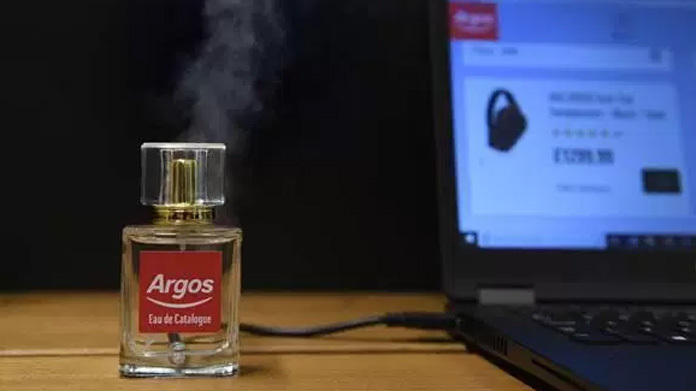 Anyway, none of this put the Argos team off as we announced that the retailer had come up with a cunning new innovation to mark its shift to become a leader in digital retail. Because with every step forward something gets left behind. In this case the sweet sweet smell of a freshly printed catalogue. Ready to circle with the must-haves of the season. So to replace that missing piece and to kindle the flames of nostalgia, we announced Argos “Eau de Catalogue”. Ostensibly a USB-connected device that would dispense the scent of catalogue whenever the owner went onto the retailer’s website. In the face of stiff competition (and a total lack of newsdesk cover!) we scored some top quality pieces with METRO, The Sun, Daily Mirror, The Scotsman, Edinburgh Evening News and Daily Express. Then there were a ton of regionals including YEP, YP, LEP – and a load more besides, .Oh, all that as well as HuffPo, Digital Spy and The Poke. The sweet smell of April Fool’s Day success.